Black Kyanite is a stone with an authentic hardness and texture. It comes formed with flat, blade style crystal structures that come in a wide range of colors(blue, green, orange, ruby and indigo) . It is found across Brazil, USA, Kenya, Mexico and Switzerland. The stone is renowned for its physical healing abilities such as bone breakage or physical trauma. 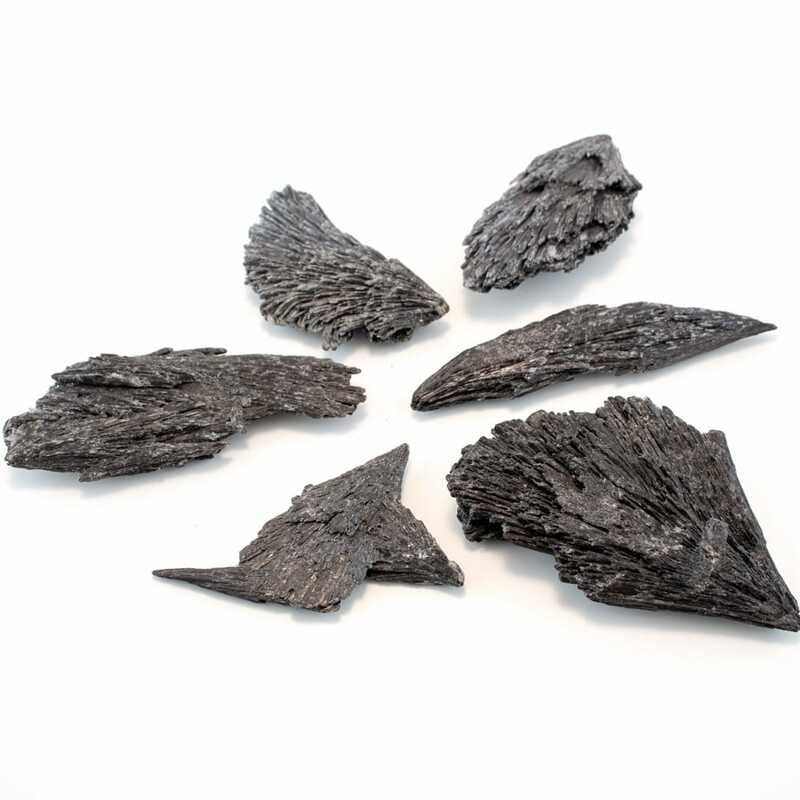 Black Kyanite assists in intense surgical recovery and aids the nerves and bodily tissues for expedited healing. Kyanite, specifically Black Kyanite, has been praised for its metaphysical and healing properties by healers throughout history and the world today. As stated above, Kyanite forms in blade-like crystal formations that are best used to “sweep” the parts of the auric field or chakras that may be limited by blockages. Emotionally, this stone will help to face blockages, open new pathways and release the emotions in a more positive way. 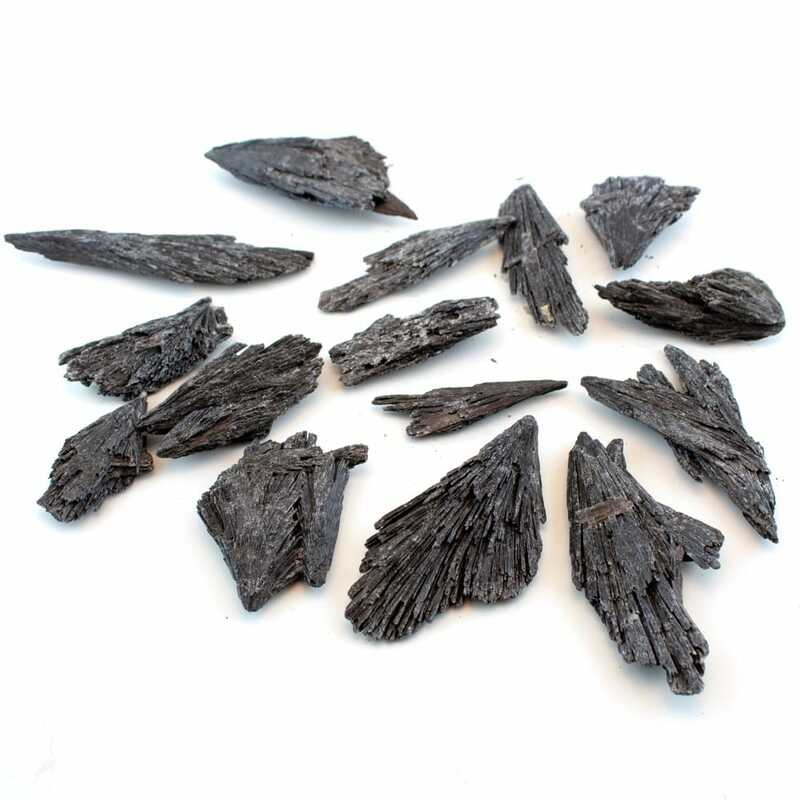 Energy workers revere Black Kyanite for its abundantly-available energies of psychic nature and healing. Where there is no foreseeable path, Black Kyanite’s abundant energies will pave a way and bridge the gap creating something out of nothing. These crystals will help one to connect on a deeper level with nature and will even help one tap into past-life memories or lifetimes. Holding Black Kyanite in your pocket produces fragments of distant memories from past lifetimes and incarnations. Kyanite also encourages and amplifies ones telepathic abilities, opening the lines of communication with high vibrational entities and spiritual beings. Black Kyanite will also aid one in becoming more empathic; It’s strong vibrations will allow one to tap into the emotional field of others and allow a deeper understanding of these feelings. This will offer up the best ability to heal and forgive. 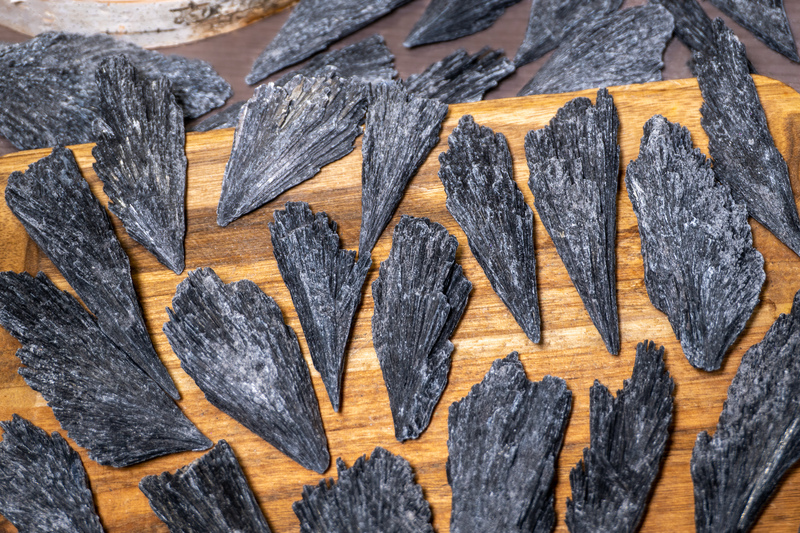 Black Kyanite understands where one’s interests, skills and talents are hiding. It aids in directing these energies toward a definite path of purpose. This stone can aid those who are unsure of their current path and help to discover what is truly authentic or unique about themselves. This discovery will allow you to share with and service others in a positive way. 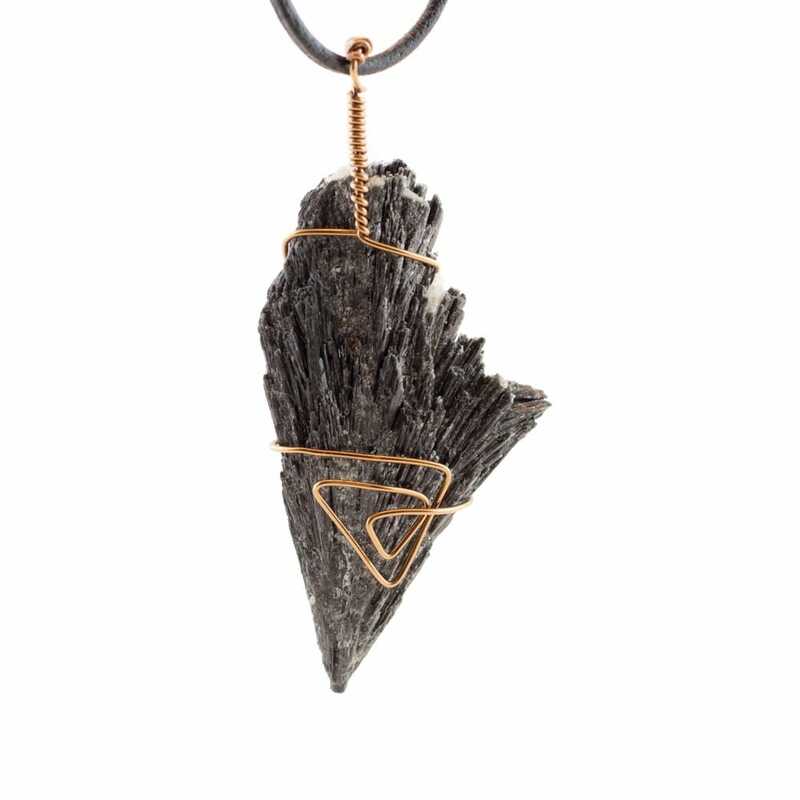 All chakras are stimulated by Black Kyanite’s energy with a special emphasis on the third eye. Black Kyanite is one of the only grounding/protecting stones that does not bring you to that “low’ or grounding frequency, it keeps energies high while keeping the aura safe. Kyanite is one of very few stones that requires little to no cleansing . Prior to working with Black Kyanite, one should feel free to clear the stone by leaving it in the ground during a storm or clearing it with sage smoke. Sage smoke will move itself between the ridged seams of the stone and refresh it’s energy.